Introducing Triplegangers new range of detailed Real-time products. 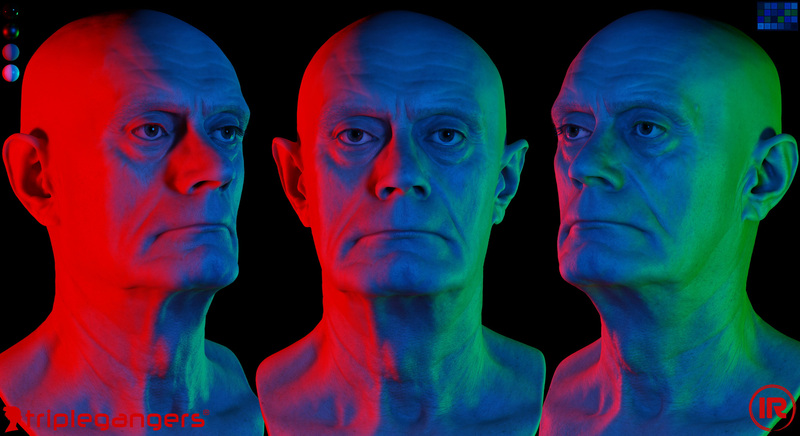 We have started to convert our 3D scan library of Photoscans into detailed Real-Time assets. These new Realtime products are complimentary to our Sculpt products. 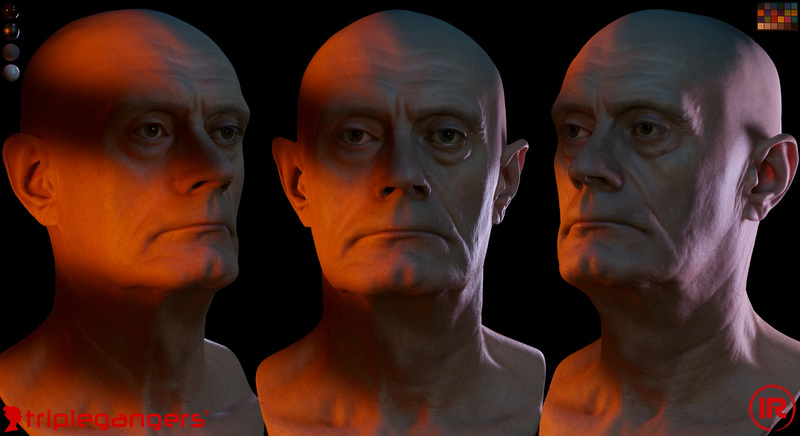 We are releasing our Realtime products as a set of Marmoset Toolbag 3 files. The models are already set up with materials and all necessary textures ready to render. We have also included a wide variety of sky setups, some using the standard TB3 sky HDR's as well as our own custom filmic lighting setups. 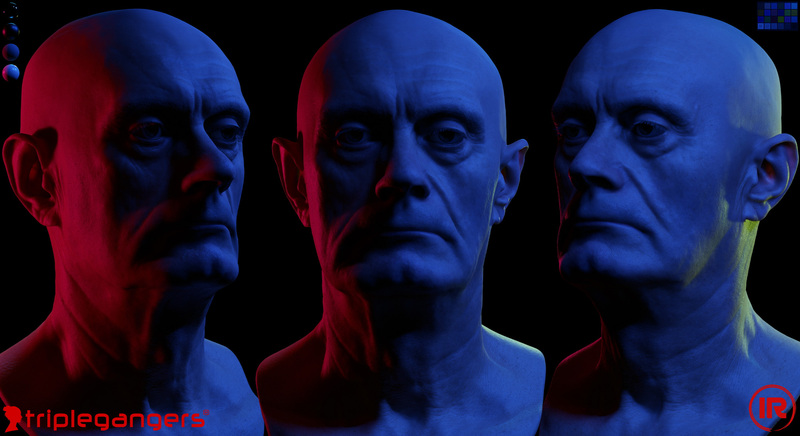 Our goal has been to release a format of files that are physically based and suitable to render in any application, whether it be Unity, UE4, Lumberyard, Blender or in offline renderers like Arnold or Vray. With a little bit of tweaking our data is compatible in any application. We hope to post some Technical news posts about our findings by rendering the Real-time assets in Unity and UE4 and to offer comparisons regarding strengths and weaknesses of each application. We have mapped our custom lighting setups to the timeline. Instead of waiting hours for rendering feedback, thanks to real-time rendering, updates can happen in a split second and still achive almost comparible results to offline rendering. We have long been used to using offline renderers to render our scans and digital doubles but thanks to the advancements in GPU's and real-time rendering applications we are now able to iterate in seconds, rather than minutes or hours. Being able to dynamically change shader settings, or lighting environments that would previously have taken hours to render is an incredible leap forwards in production capability, as it allows us to work faster and produce more intuitive results. 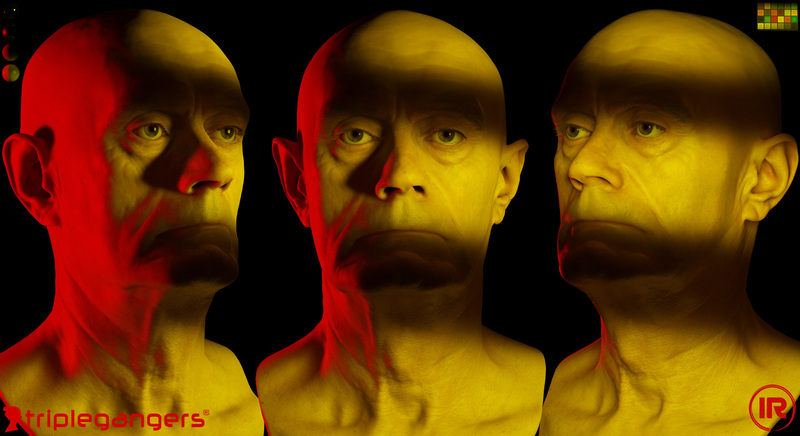 Thanks to Marmoset LLC integrating Voxel Global Illumination (VXGI) into Toolbag 3, we are now able to simulate bounced lighting effects as well as diffuse and specular occlusion, with the combined ability to render Local Reflections (SSR), Image Based Lighting and temporal antialiasing. This allows artists the ability to mimic offline rendering outputs to a much more accurate degree. We used the brilliant Octane for Unity plugin from Otoy and very simple box geometry inside Unity to generate lat/long 32bit .exr HDR images to be used inside other rendering applications. Thanks to Matthieu Ostertag for the advise and setup guidance. We used BladeRunner and BladeRunner 2049 as our main point of inspiration for these lighting environments, as well other other custom lighting styles included in the Toolbag scenes. We will provide a tutorial on this later next month. 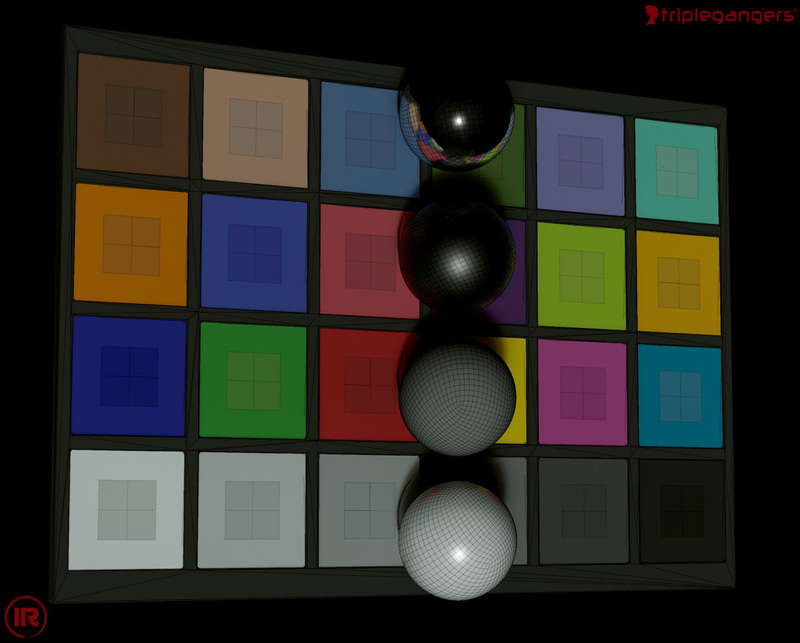 DS1 Rig is a simulated spherical gradient illumination rig. 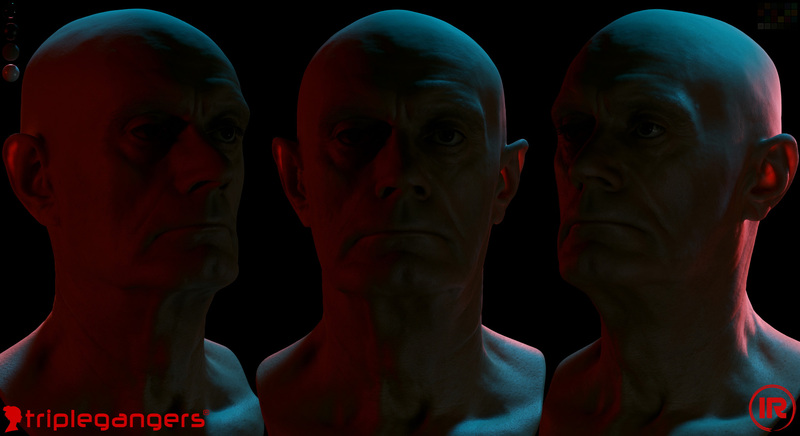 Skies01 uses a combination of HDRI's built into Toolbag and also some custom hand made lighting environments. The lighting setups have been mapped to the ToolBag timeline so you can quickly scroll through them. This can prove useful when problem-solving a sculpt to real-time conversion or when setting up shaders or modifying textures. 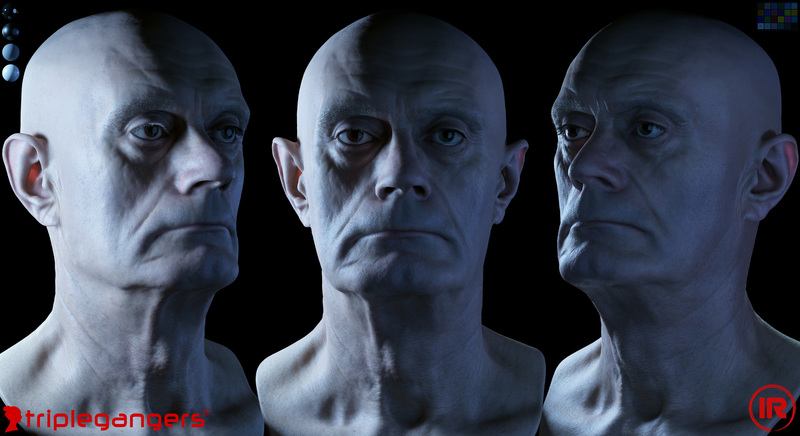 Our textures and shader setup have been designed so that the characters should look as real as possible in almost any given lighting condition. 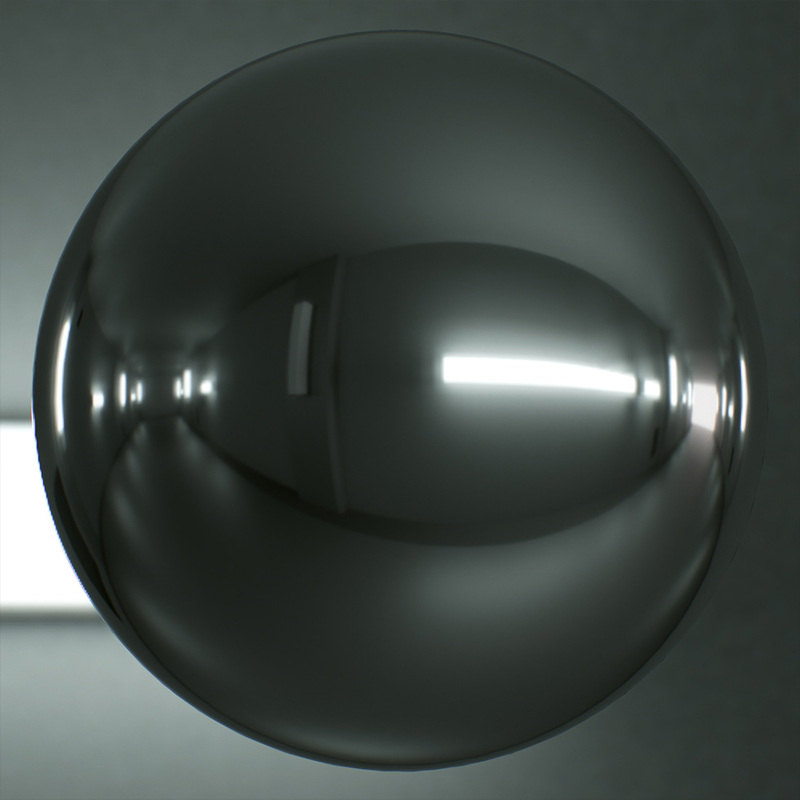 Included in the Realtime products are a set of calibration spheres including a mirror ball, grey ball, black ball and white ball. 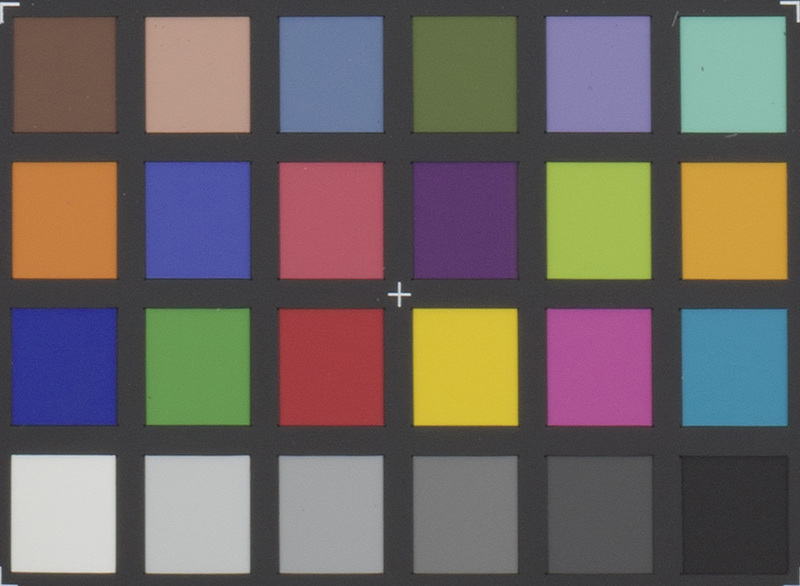 These can prove useful when problem solving shader setups and testing lighting conditions. Also included is a simulated xrite colour checker mesh with shaders which have been set with appropriate RGB colour values. We directly compare against real-world xrite target capture. 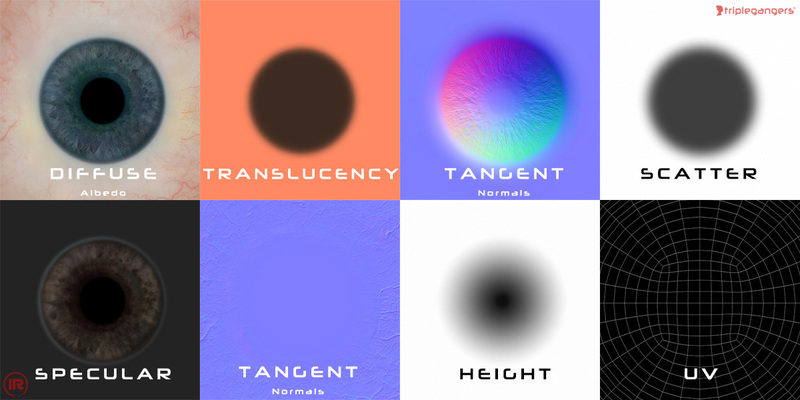 Each Realtime products comes provided with a variety of high resolution *.PNG textures. 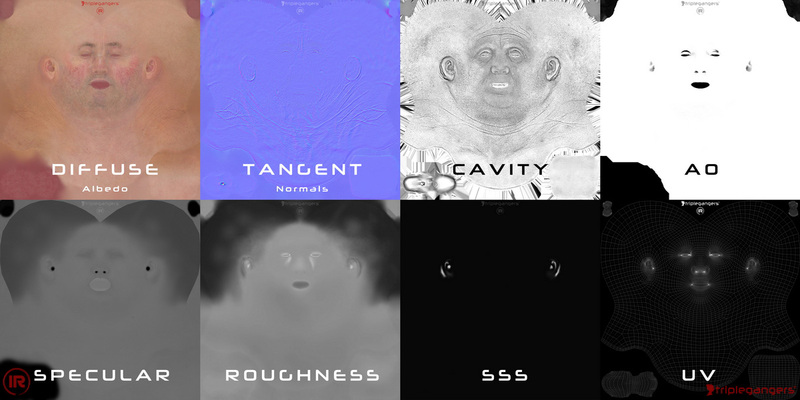 Including diffuse, normals, occlusion, specularity, roughness, cavity, height, SSS, UV layout and many more. Provided at upto 8192x8192 resolution. 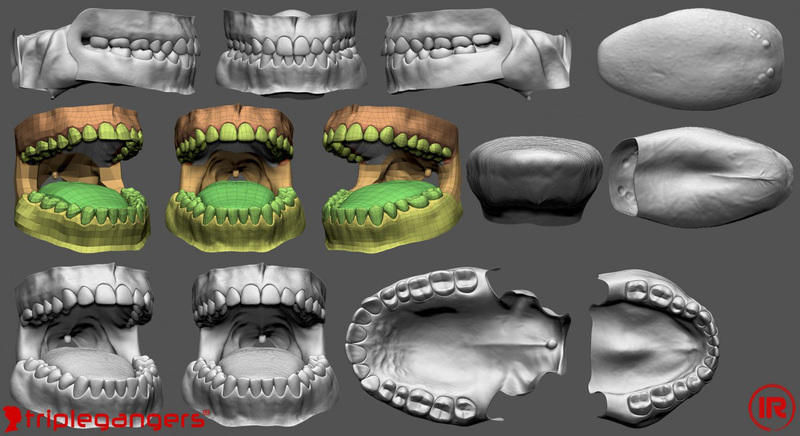 We also included a set of teeth and eyes, which have been built from scratch using modern real-time rendering techniques. Since the Infinite-Realities release of the INFINITE scan back in 2010 (which can be downloaded here), we have further refined the custom topology and UV layout to better match our scan database. Whilst using a single topology is not recommended, as no one topology can conform to all head shapes, it should act as a good basis for any artist to work from. You can always use your own topology to reproject with, by cross baking using Wrap3. 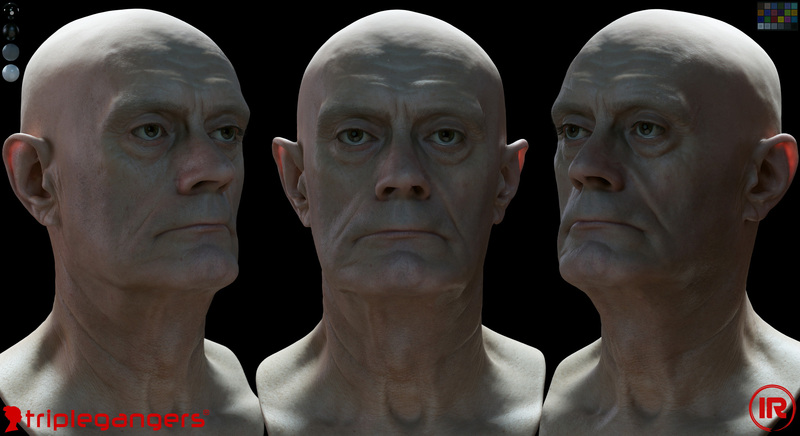 The Realtime products contains all relevant topology, head subtool, eyes, eyelashes, eyebrows, teeth and eyesclosed model. As we mentioned in our Sculpt post, our Realtime products are offered as a blank canvas for other artists to further tweak and optimize. We have spent 1000's of hours crafting our full pipeline, spanning over 10 years of research. 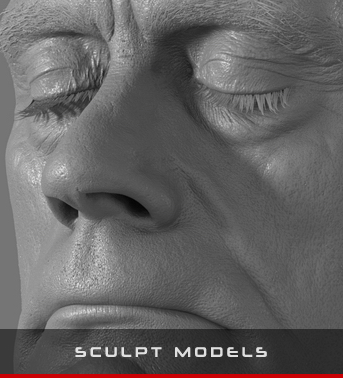 Our work is not presented as final, nor do we profess to have perfected the scanning, sculpting or rendering process. We just wanted to share our current work with like-minded creators who might have the budget and passion to explore further with us. Any sales we make allow us to stay independent.This also helps us further expand our model range as well as allows us to share our insights. We're certain other artists and companies can further improve on our data sets to use in real-time or offline rendering. We are interested to see how you might use the Realtime products in your projects. If you do purchase with us, Happy rendering! Infinite Lighting and Rendering Possibilities. 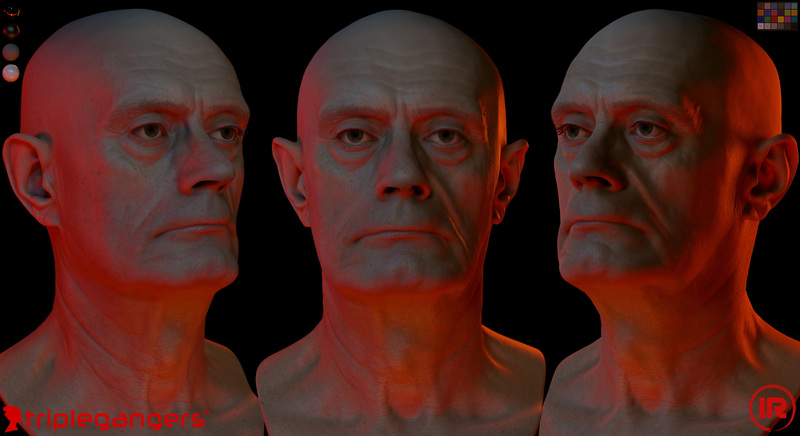 Our models have been designed so that they will render correctly in any lighting condition, without the need to tweak textures, materials or shaders. They will hold strong, no matter the conditions you throw at them. 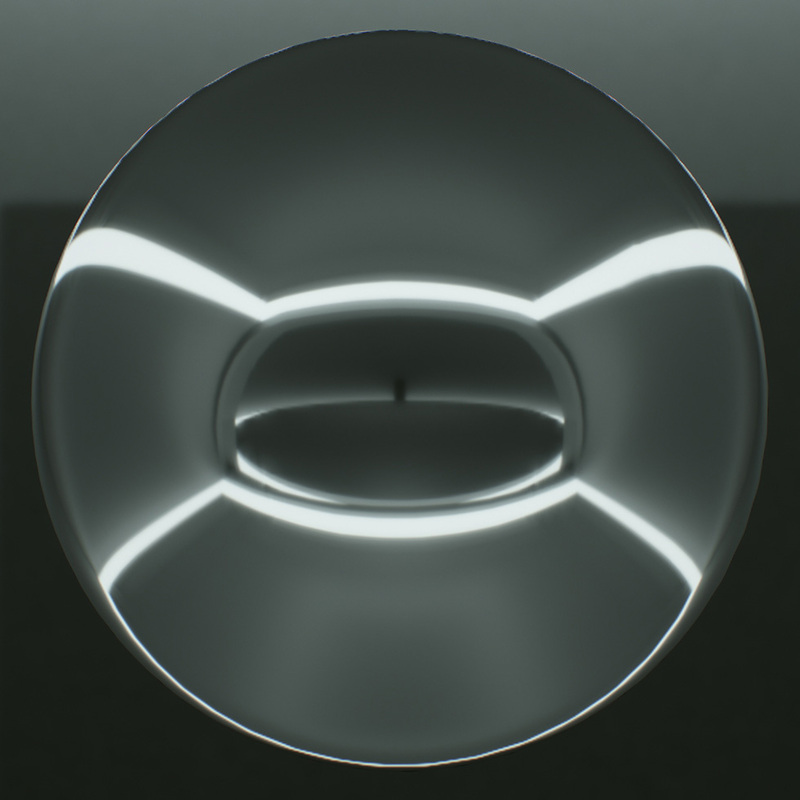 We have slowly been gathering a large database of photometric micro normal maps, captured using a 200mm macro lens, DS2 lighting rig and high-speed machine vision cameras. 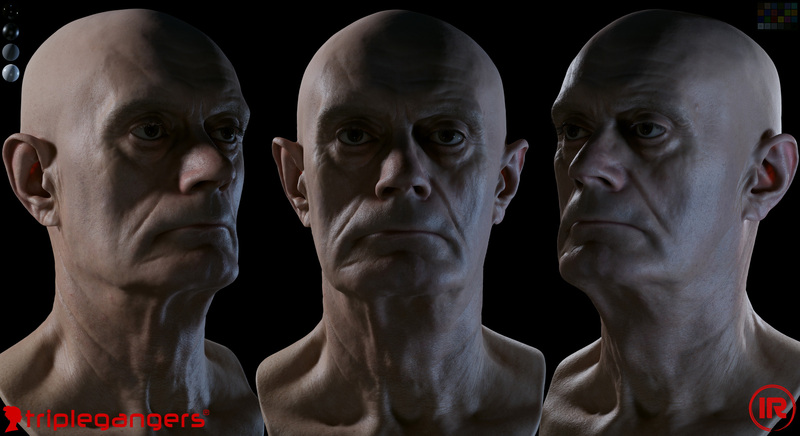 These sets have been captured from multiple models over various regions of their face and body over the last 12 months and processed in Substance Designer to make them tilable and usable in real-time rendering. This database is slowly growing and we will be giving some of these maps away, for free, in the coming months. Stay tuned. Coming up next we will discuss using our Realtime products in rendering engines such as Unity and Unreal Engine 4. 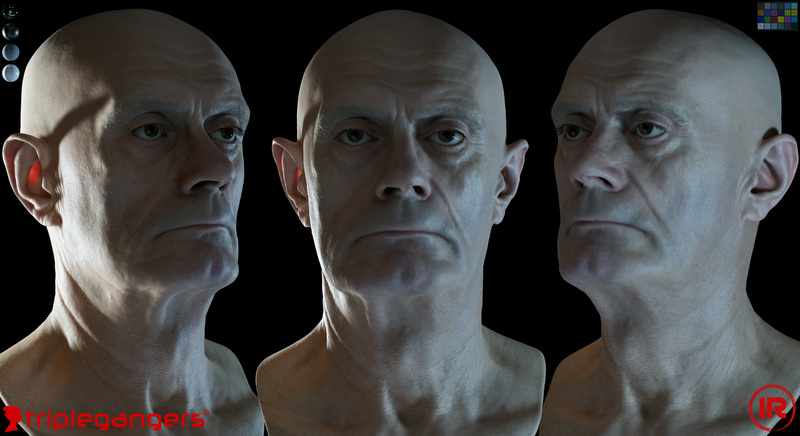 We will weigh up the pros and cons of each application and compared them against Marmoset Toolbag. Looks amazing! Are you guys releasing FACS of the characters in real-time ready model also? So we can morph between the expressions.